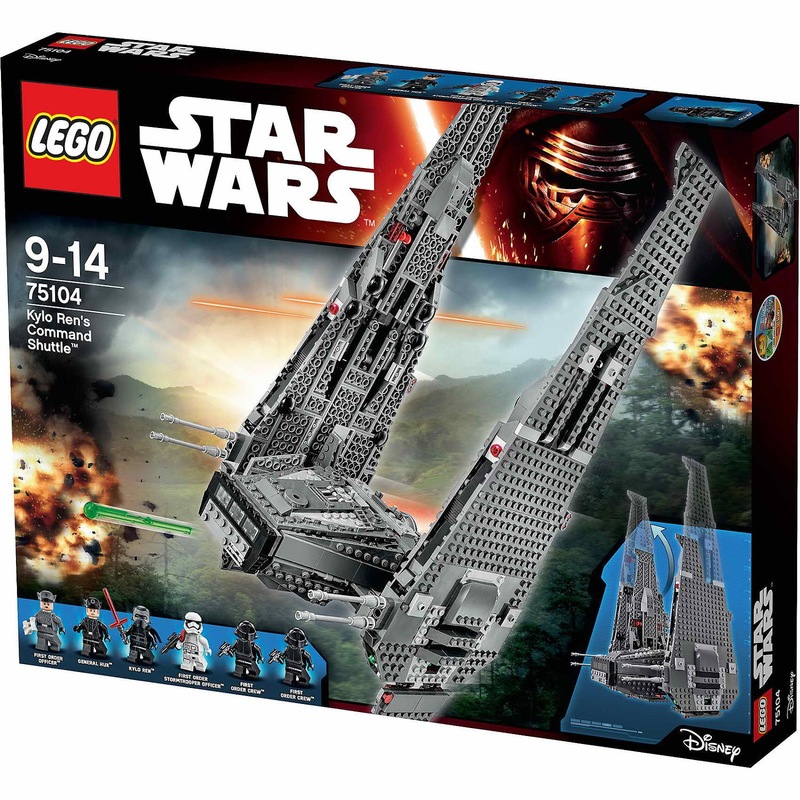 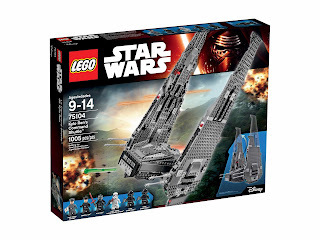 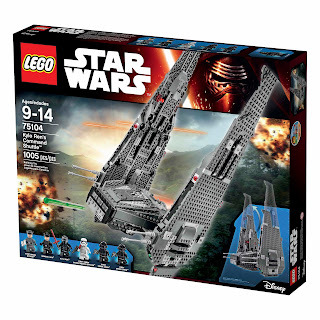 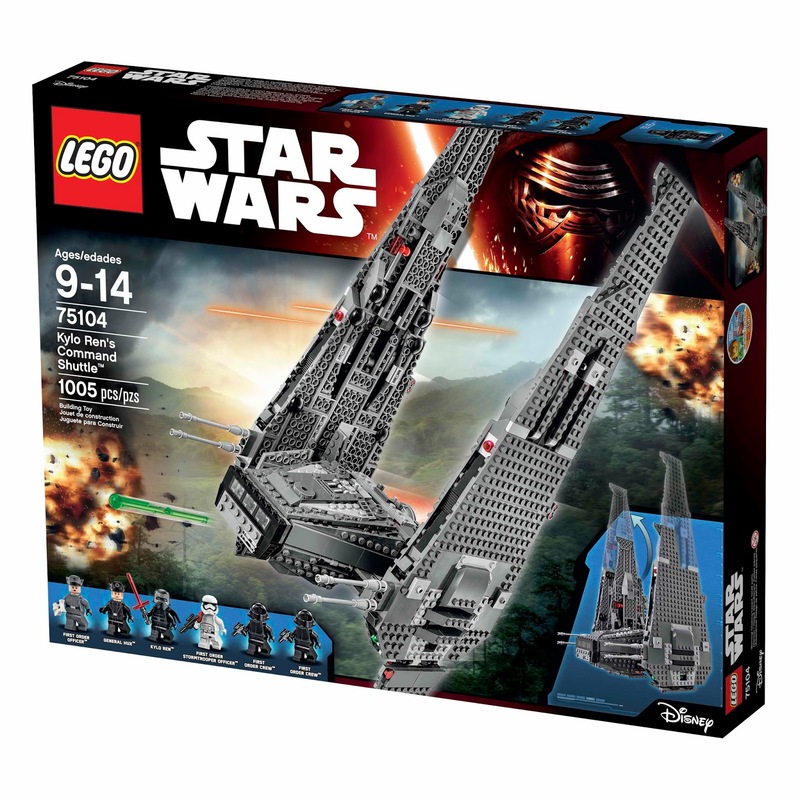 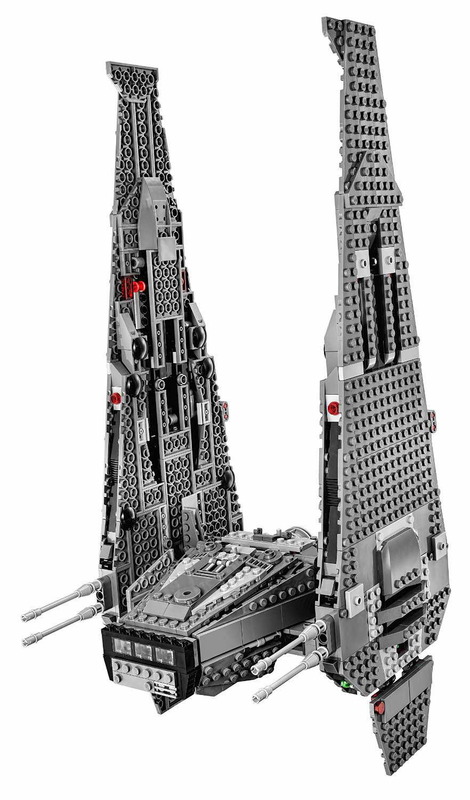 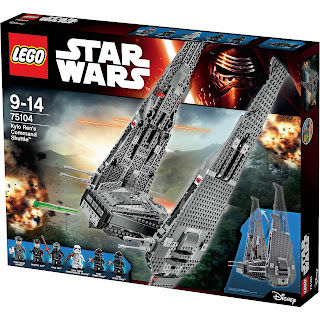 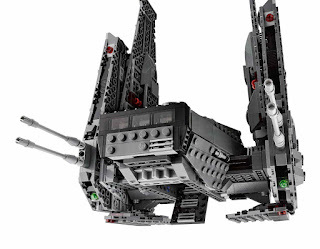 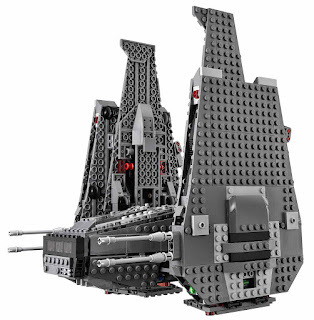 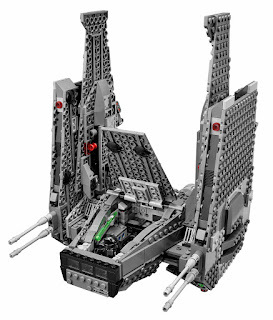 come with a kylo ren's command shuttle. 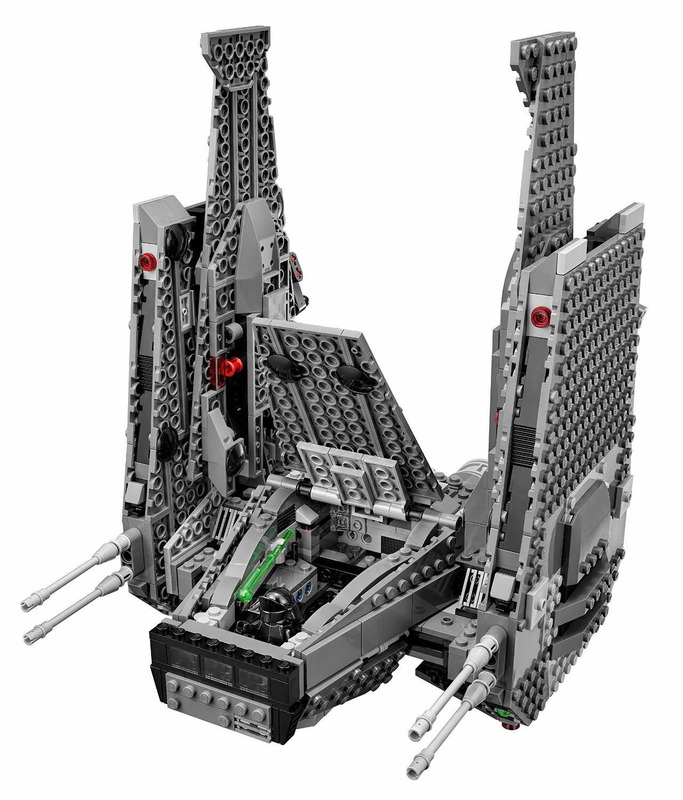 the shuttle has an openable front, rear and bottom storage bays, spring loaded shooters, detachable weapon racks and extendable wings. also included 2 blaster pistols, blaster and kylo ren’s lightsaber. 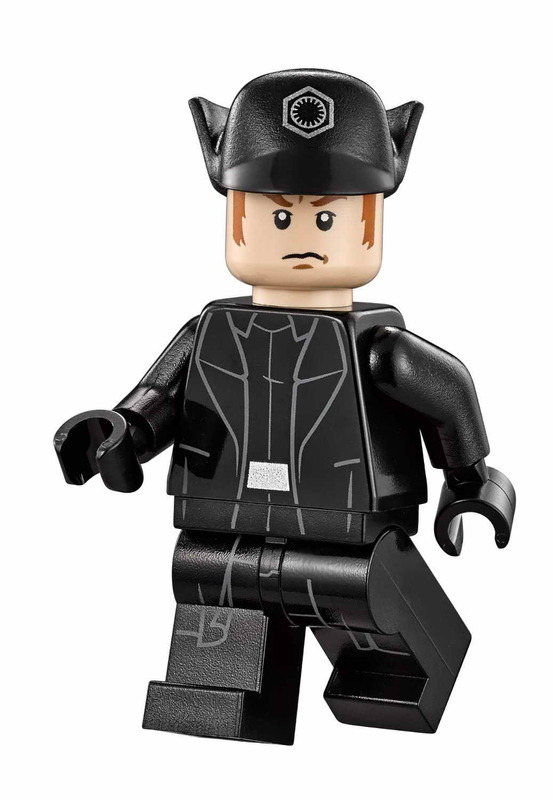 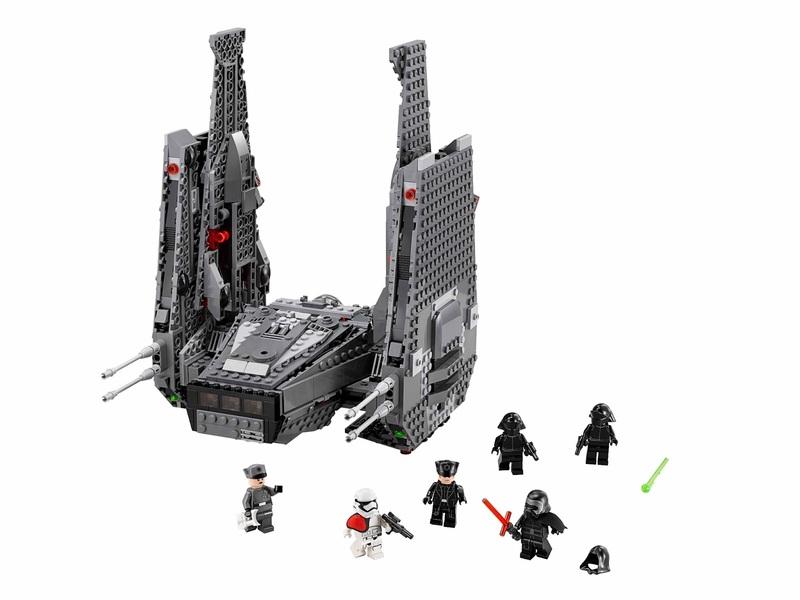 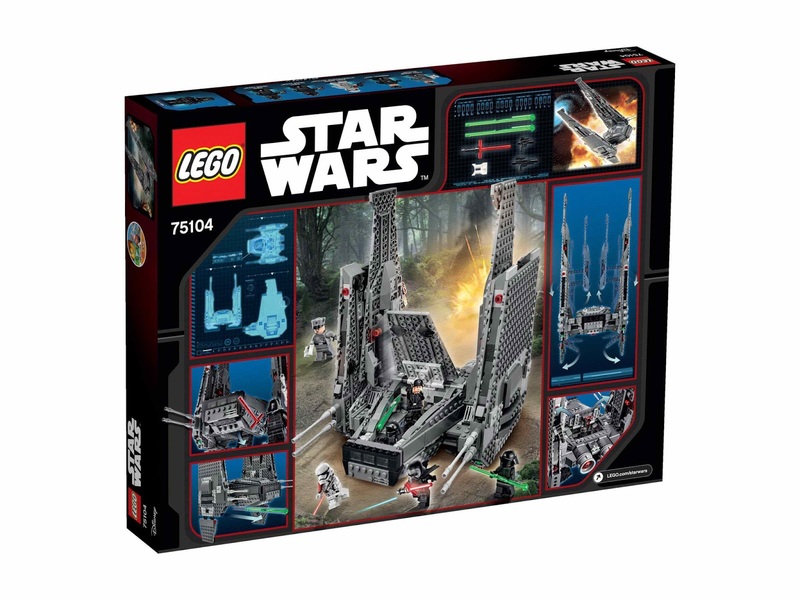 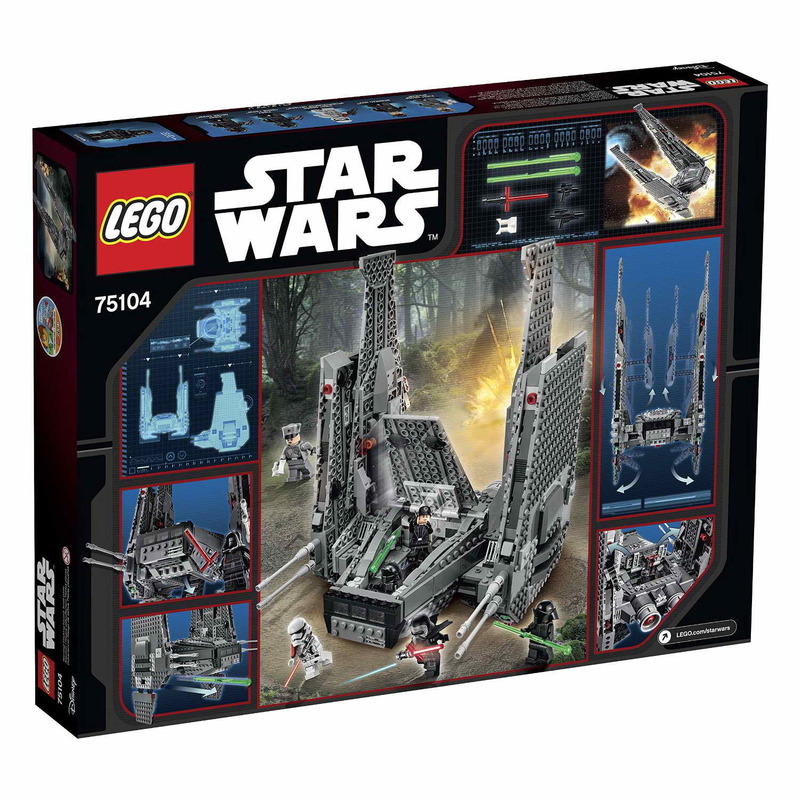 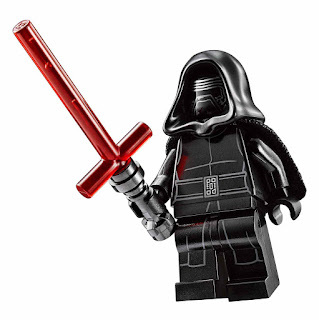 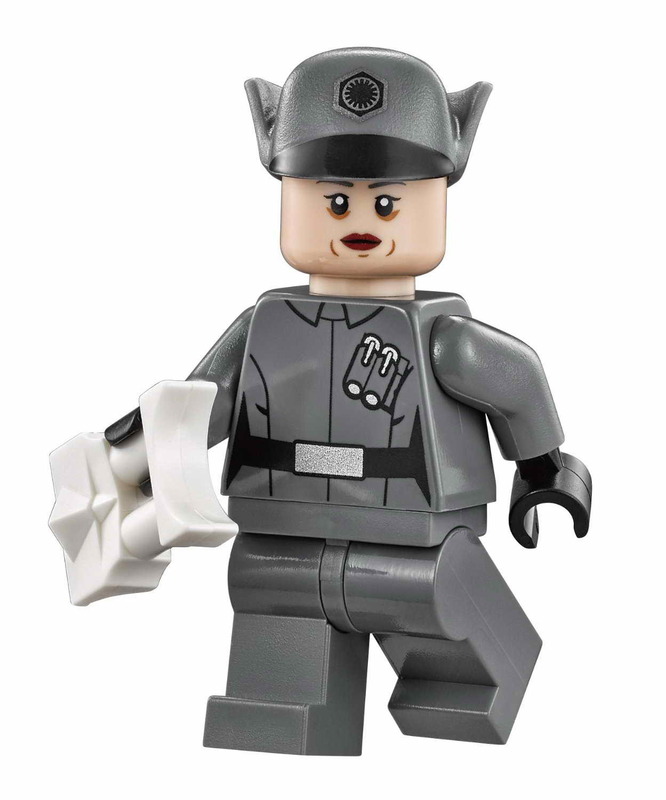 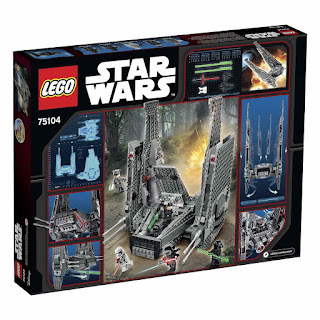 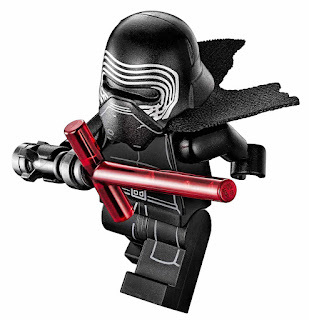 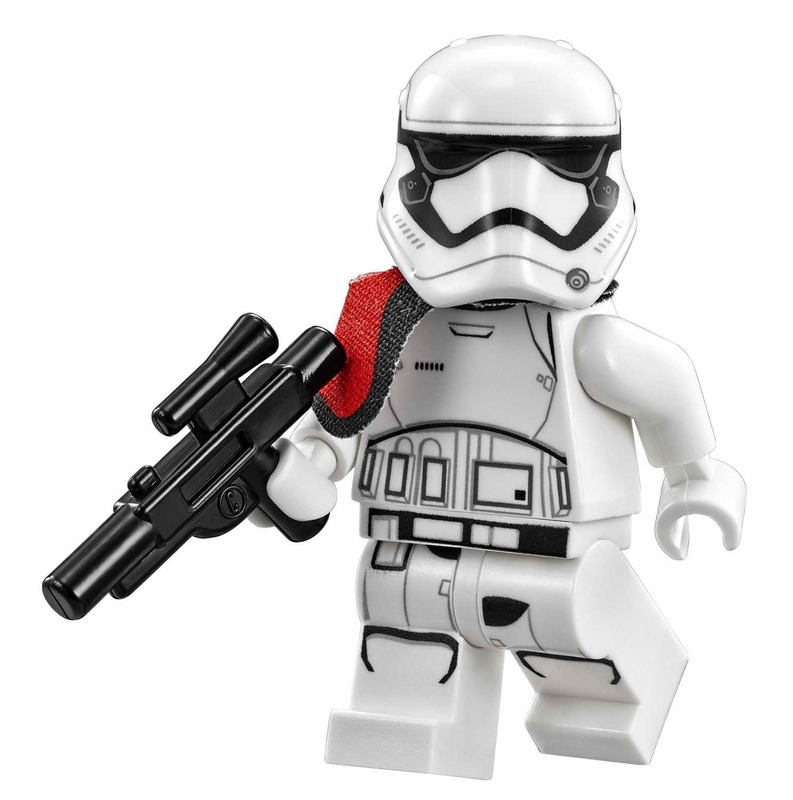 minifigs included a kylo ren minifig, a general hux minifig, a first order officer minifig, 2 first order crew minifigs and a first order stormtrooper officer minifig.